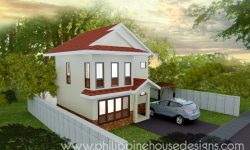 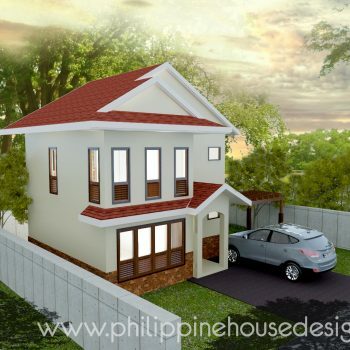 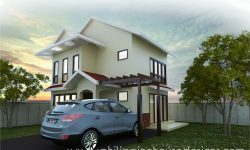 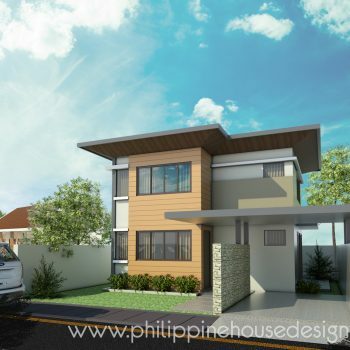 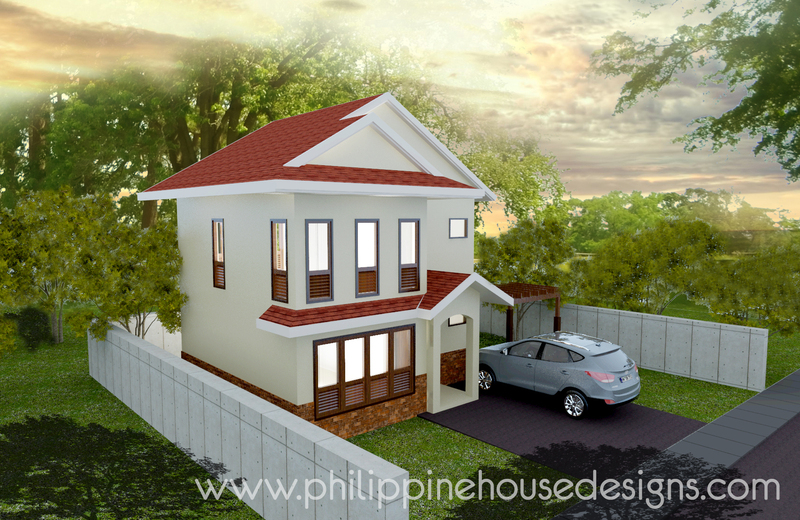 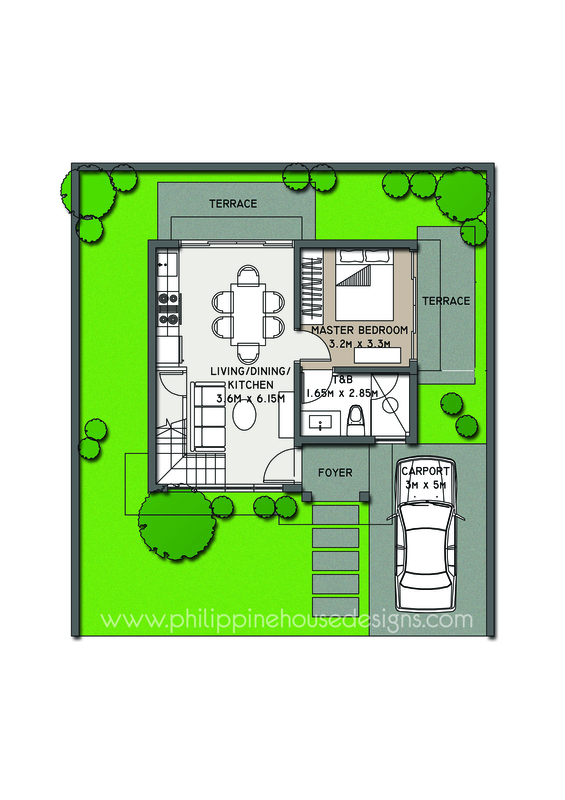 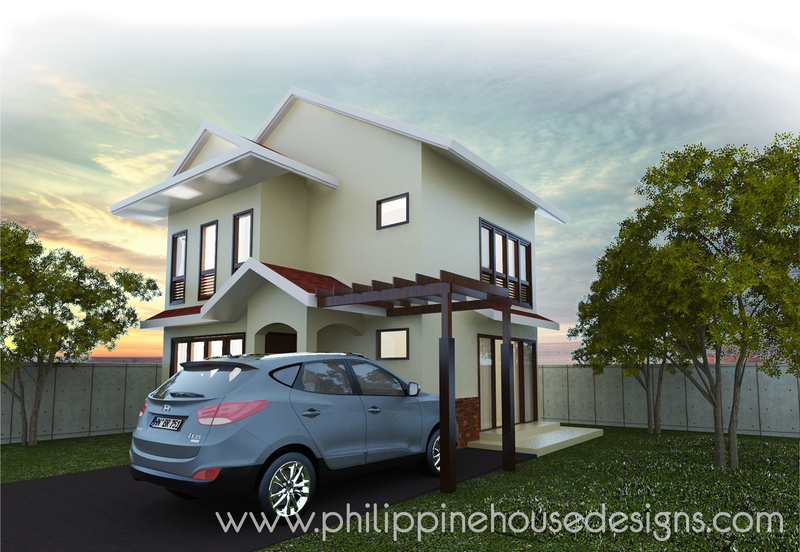 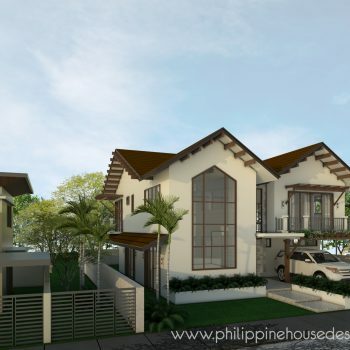 This two-story simple house is a modern take of a Filipino house. 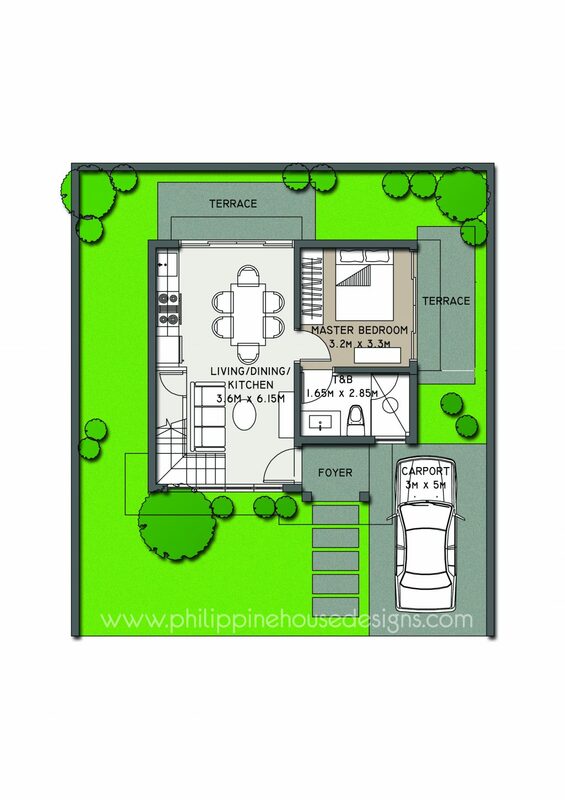 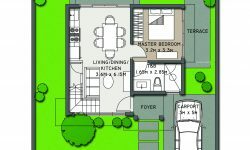 With minimum 2 meters setback at all sides, it allows for a verandah from the living area and the master bedroom. 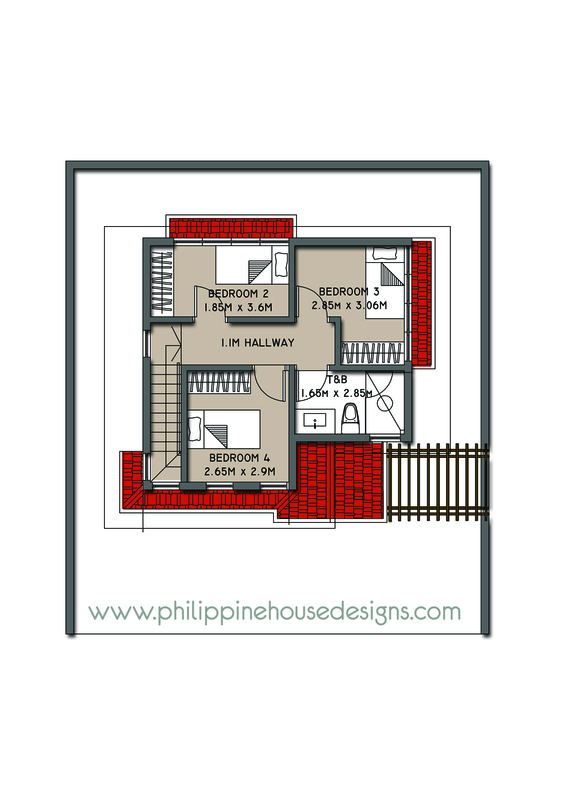 The window design is a unique feature that represents the ventanillas of the bahay kubo or the traditional nipa hut. 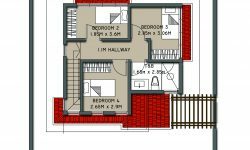 A full-sized toilet and bath is provided for each story, and as a bonus, the number of steps from ground to second floor is considered lucky. 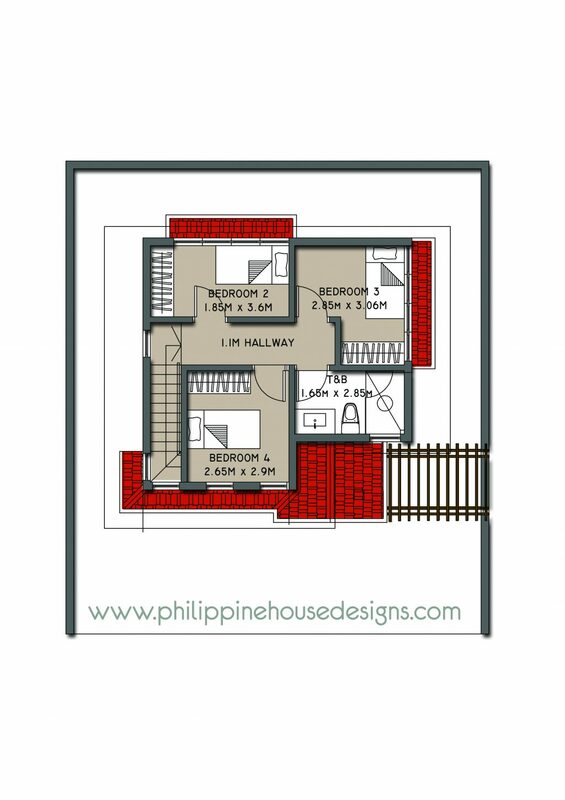 There are generous spaces for wardrobe closets for each bedroom, and a storage room below the stairs.